Beautiful, but not brazen. Passionate, but never preachy. Populist, but definitely not prosaic. 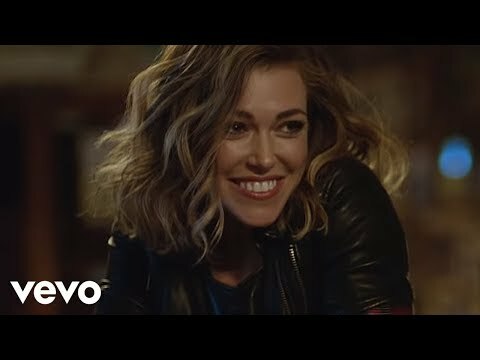 New York City singer-songwriter, pianist and beatboxer Rachel Platten is by no means your average headliner-in-the-making. Her Rock Ridge Music debut, Be Here, is a bewitching collection of 10 wise-beyond-their-years piano-driven pop songs that echo elements of Alanis Morissette, Carole King, Tori Amos and Regina Spektor, while retaining a singular sense of self that is rarely found in such a young performer. Be Here was born over the course of an epic trans-Atlantic journey that took the singer-songwriter from London to Los Angeles, on to Stockholm and then back home to New York City. At each stop, she collaborated with top-tier production teams, including Fredrik Thomander (Nsync, Lady Gaga), Jerry Abbott and Grant Black (Robbie Williams, Craig David) and the Wizardz of Oz (Britney Spears, Avril Lavigne). The results are immediately appealing, spirit lifting, heartwarming and mind opening no matter where in the world you are. 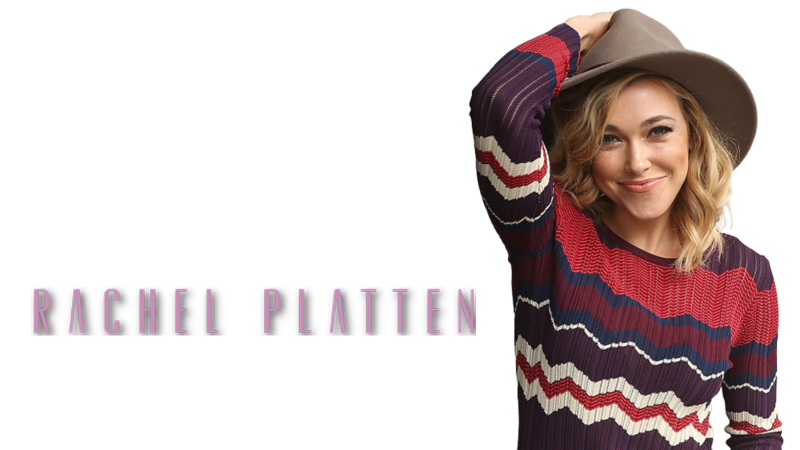 Platten's uplifting, instantly catchy anthems celebrate the love and light in the world with a passionate intensity that has been missing on the radio dial for far too long. "I write songs that are universally understandable," says Platten. "They're positive and poppy, without ever sacrificing the hard truths out there that we all have to live through." A perfect example is the head bobbing, spirit raising "Nothing Ever Happens." Platten melds introspection to inspiration as she sings, "Never be a winner if you're not in the game/Nothing ever happens if you always play it safe/So, make a little space/And get out of your own way." The ebullient "53 Steps" is a twisting, tumbling rave-up that recalls Fiona Apple at her cheeriest crossed with Ray of Light-era Madonna. "That has been an anthem for me," says Platten. "I have the burning desire to be on the road, because there's something magical that happens when you get to travel the world." "Overwhelmed" was written during one such globetrotting expedition to the UK, but its inspiration came at the oddest moment. "I woke up with the melody at 4 AM, but I had no way to record it," says Platten. "So I just kept singing it over and over until I got to the studio." The result is a poppy pick-me-up that finds Platten reassuring herself, "We get down, down, down/We all need somebody's help/Let's get loud, loud, loud till there's love and nothing else/'Cause the more that you give the more that comes back around." Songs like these brighten days, bring joy and stir greatness. "I want people to feel good when they listen to my songs, but never on a superficial level," says Platten. "You have to recognize that life is hard and there will be pain, but there is always joy in it and you can overcome it. You can always find beauty around you." With songs as good as these, there is beauty to spare on Be Here. This head-turning debut is the culmination of Platten's lifelong passion for music. She started piano lessons when she was only four and spent her childhood soaking up a stunning spectrum of influences; everything from the Beatles to Billy Joel, Motown to Madonna and Tapestry to Graceland. When Lauryn Hill, and later the Roots, were added into the rotation, Platten discovered beatboxing. In college, Platten began taking her first steps into the world of songwriting. She went abroad in 2005 to the Caribbean isle of Trinidad, where she landed an internship at a local record label. One of the soul- and calypso-fusing soca bands she was working with scored a hit during carnival season and Platten was recruited to sing backup on a whirlwind tour through the islands. It was her first taste of performing for huge crowds, and the experience lit a fire inside her. When she returned to the States, Platten enrolled in a songwriting course at the Berklee College of Music before heading to New York City in the fall of 2006. Over the next four years, she wrote the songs that make up Be Here, put together a band and toured at every opportunity, scoring opening slots for The Strokes, Ziggy Marley, Regina Spektor, Tracy Bonham and Rusted Root. Her dynamic live shows earned raves from the Boston Globe, who called her "breathtaking and brilliant," and the New York Post, who declared that she " blend sweet delicateness with pluck." This praise is just the beginning for this vibrant singer-songwriter. Be Here is an ecstatic confirmation that pop music can have heart, soul, depth and gravity, while still inspiring you sing along at the top of your lungs. It's time to listen up and Be Here now.